When Sick Do You Change Invisalign Aligners? I’m in the middle of my Invisalign treatment. I’m loving it but everyone in my family currently has a nasty virus. It’s only a matter of time before I get it too. If that happens, do I have to get a new aligner, like when you throw away your toothbrush? That seems like an expensive proposition. I’m glad you’re enjoying your Invisalign. It does have a high patient satisfaction rate. On the other hand, I’m sorry your family has been sick. That’s never fun, especially for the mother who always seems to take care of everyone even when she’s sick. If you happen to get the virus, you won’t have to toss the aligners and get new ones. Once you have the virus, you won’t catch it again from wearing them. Just be certain to clean them (as you normally would). The only time you’d need to get rid of a pair of aligners is if they’re damaged or if you’ve completed your two weeks with them. If they’re damaged, how do you know whether or not to go back to your old ones or move on to the next pair? A lot of which aligners you switch to has to do with how long you wore the damaged pair. If you’re still within the first week of wearing them then just go back to your old aligners. If you’re further in, you can skip onto the next pair of aligners. You don’t want to do that too often. While your teeth move into their new position within the first few days, you need the remainder of the two weeks in order to allow the bone to reform around the roots of your teeth. Without that, your teeth won’t actually have the support they need. They will end up becoming loose and if you continue switching early will lead to you losing teeth. Because Invisalign aligners are custom designed for your bite, they also do very well as teeth whitening trays. This can allow you to not only knock out two procedures at once but save money doing it. Talk to your dentist about providing you with some professional teeth whitening gel. You can wear that for a minimum of twenty minutes a day until your teeth are as white as you want. How Do I Purchase Invisalign For a Christmas Gift? I want to get my wife a mini smile makeover for Christmas including Invisalign and teeth whitening (if I have enough for both). Unfortunately, I’m having trouble getting my dentist to agree to let me pre-purchase. He says she has to come in for an exam first to see what it will entail. If I ABSOLUTELY had to, I will but I’d hate to ruin the surprise. I like seeing people’s eyes light up when they open something. She doesn’t even realize I know she wants them. Is there a way to get them without her finding out ahead of time? It sounds like you’re a thoughtful and attentive husband. I love that you noticed something your wife had on her heart without her telling you. I bet we can find a way for you to surprise your wife, but I’ll explain what your dentist is likely thinking. 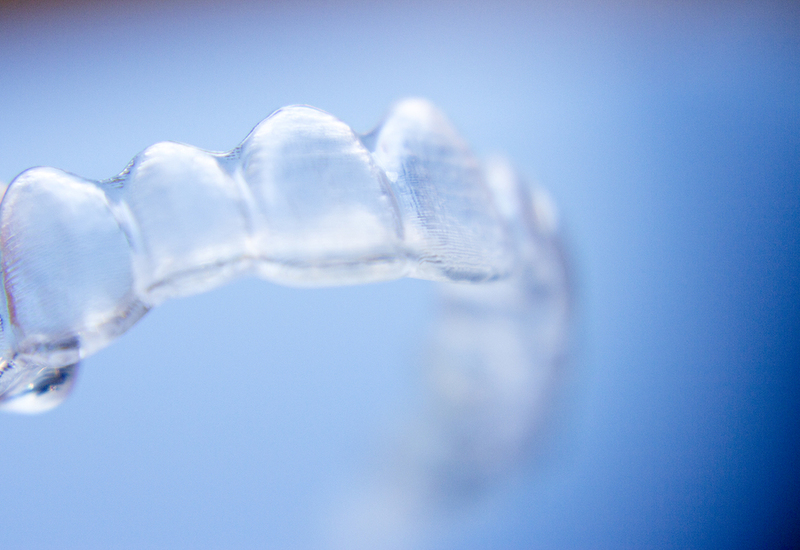 It’s hard to totally pre-purchase Invisalign because so many things factor into the cost. In addition to the possibility she not a good candidate, the price is determined by the amount and type of movement needed, the number of aligners required, etc.. All of that will factor into the payment. But, that doesn’t mean you can’t get it ahead of time. I’d suggest to your dentist you make an estimated pre-payment and then if it turns out she’s not actually a good candidate, you can get a refund. If he’s still resistant, you could just make up a beautiful “announcement” using a free graphic design program, like Canva, and put that under the tree for her. Then, after Christmas, she could head to the dentist’s. It shouldn’t be too hard to pay for both the Invisalign and teeth whitening. 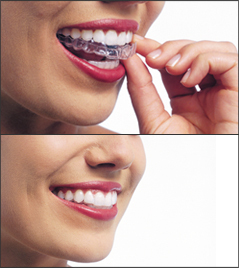 Most dentists will allow you to use the Invisalign aligners as teeth whitening trays. That actually ends up saving you money in the long run. There is something to be aware of with the limitations of teeth whitening. If she has any other dental work, such as fillings or dental crowns, they won’t whiten with her teeth. The whitening gel only works on natural tooth structure. That doesn’t mean she can’t have it done. But, once she’s attained the level of whitening she wants, you can have them re-made to match. Today, with white fillings, it’s very easy to get dental work to match whatever shade you need, as long as you have a qualified dentist. Can I Run My Invisalign Aligners Through the Dishwasher? I’m a germaphobe. I hate the idea of putting my aligners in my mouth with bacteria in them. All that spit that got on them (and yes I know it’s my spit) gives me the heebee-geebees. I was thinking of running them through the dishwasher as a means of disinfecting them. I do that for all my dishes and silverware. The heat gets rid of the bacteria. I understand how you feel. I’m a salmonella-phobe. You should see all the precautions I take when I’m cooking chicken. However, using the dishwasher to disinfect your Invisalign aligners is a bad idea. The heat, which admittedly does disinfect, will also distort the aligners. That can derail your treatment. Your dentist should have given you instructions on how to properly clean your Invisalign. Additionally, the Invisalign company makes a special kit you can order. If you are still concerned, you can do a vinegar soak. Vinegar is a natural and potent disinfectant. However, I would only let them soak for 30 minutes about once a week. Don’t forget to rinse them after the soak or you’ll have a nasty taste. You may also consider asking your dentist if you can get your teeth whitened simultaneously with your Invisalign treatment. The aligners can double for teeth whitening aligners as well. Peroxide (used in whitening gels) is also a disinfectant. This way you can feel better about killing bacteria, while doing something proactive about your smile at a reduced cost. I’m all for multi-tasking (and saving money).